The introduction of driverless vehicles in the UK in the years ahead has been heralded as potentially offering a groundbreaking step forward in safety and convenience. 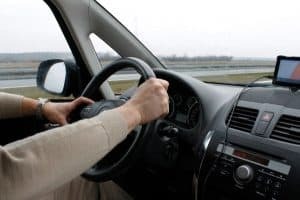 However, new research published by the Institute of Advanced Motorists (IAM) has revealed how almost two thirds (65 per cent) of UK vehicle owners wish to reserve a 'right to drive' when these new cars take to the roads en masse. Drawing on the responses of 1,000 British motorists, the research highlighted a strong feeling that while driverless technology should offer real benefits to road safety, there must always be an element of human control. Ensuring that driverless vehicles have the option for a manual override is therefore something that UK drivers are keen to see integrated into future plans. Moreover, the results showed that 53 per cent of respondents believe the focus for the future should not simply be on making cars themselves safer, but drivers as well. Responding to the research, chief executive of IAM RoadSmart Sarah Sillars said: "Technological advances that make driving and riding safer for all road users have to be embraced wholeheartedly – but British motorists and our members do want the right to drive. "Intelligent cars will deliver a step change in road safety by targeting the human errors we make from time-to-time. At IAM RoadSmart we believe a well-trained driver and an ever-vigilant car is a win-win scenario for the future."